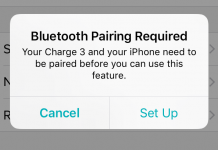 This solution seemed to have fixed my syncing problems: I think I discovered the problem for me anyway and it was related to Bluetooth. I noticed that the Versa would often disconnect/stop syncing/not connect during GPS activities due to other Bluetooth devices being paired with my phone at the same time. For example, the Versa had been syncing perfectly for a couple of days and then I drove to where I was going to record the video review for the Versa and it stopped syncing. My car has Bluetooth which my phone automatically connects to when I start the car and that’s when the Versa appears to have disconnected. 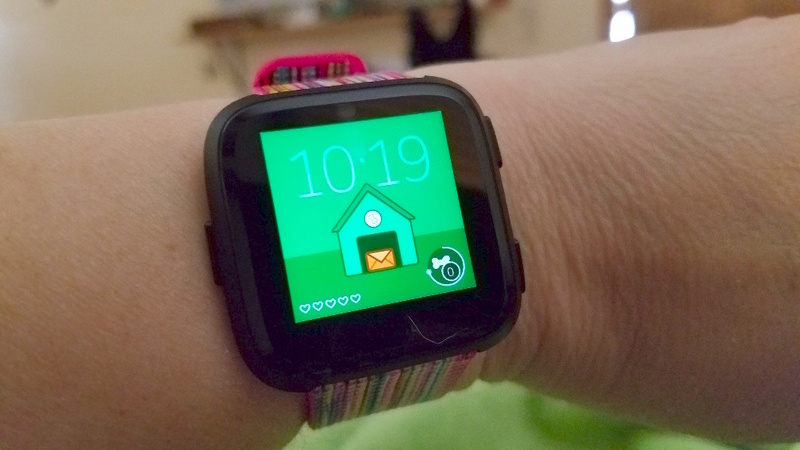 I was also wearing the Ticwatch E because I was going to compare features and it was paired to my phone as well. Once I unpaired the other watches on my Bluetooth list on my phone (I review a lot of fitness trackers so there were quite a few! ), almost all of the connectivity issues stopped. 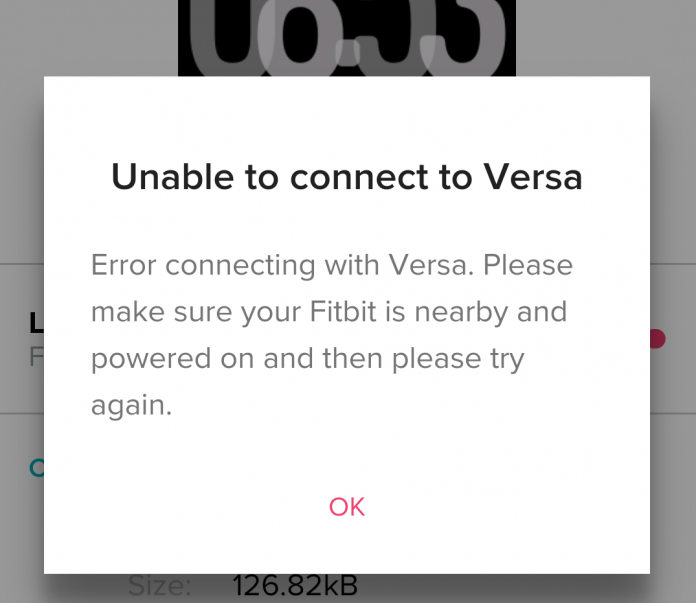 Fitbit does recommend unpairing all other Bluetooth devices when setting up the Versa, so I think it’s more of a Bluetooth setup issue. Once the Versa is correctly set up with Bluetooth, it seems to behave fine. 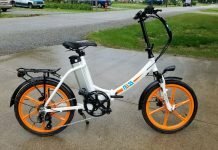 I had a feeling this was the issue. 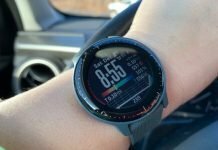 Since then, the Versa has remained connected to my phone even though my phone has been connected to the car’s Bluetooth several times and I’ve reconnected my Fenix 5s. Below are steps the Fibit recommends and they might work for you depending upon what the issue is. They only worked for me for a short while. The fix above has kept my Versa connected and syncing properly. To restart the Versa, hold in the left button and the bottom right button for about 10 seconds until the watch turns off and back on again. 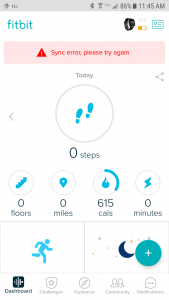 Fitbit recommends doing this 3 times if you’re not able to sync the watch. Sometimes it works but it hasn’t for me. Possibly just turning off Bluetooth for a while on your phone and then turning it back on again might reconnect the watch. It’s worked for me once a while but today nothing seems to be working. I’ve also tried restarting my phone (Galaxy S7) numerous times but again this doesn’t seem to help either. Another thing you can try is to remove the watch from the Fibit app and go into your phone’s Bluetooth settings and remove the Versa. You can then re-pair the watch to the Fitbit app and Bluetooth. With this, I got as far as the screen that prompted me to enter the numbers shown on the watch into the app (twice with two different numbers), so there had to be some kind of communication between the watch and phone but the app continued to show a spinning wheel trying to connect. Doing this (turning off Wifi on my phone) finally got it to connect and sync. 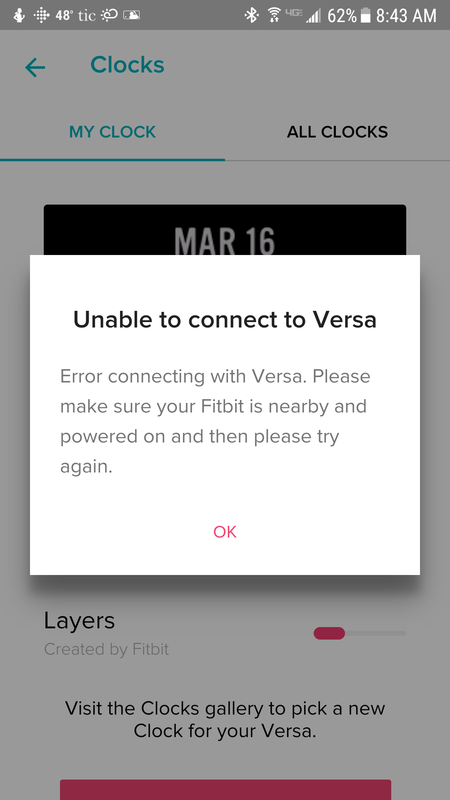 I think there’s an issue with Wifi and the Versa and/or the Fitbit app because I can get the Versa to connect with Wifi turned off on my phone. Also, the Fitbit app isn’t able to find any Wifi networks when I look for them through the app. I think this is also why I had so many problems getting the watch set up the first time. It just couldn’t stay connected to my Wifi network or there is just some kind of communication problem. Update: The app was finally able to find my Wifi network and since then I haven’t had any syncing issues but I’m still not receiving notifications and I also get error messages saying that there’s no internet connection once in a while. This error pops up whether I’m using Wifi or my phone service. Right now the app store just seems really slow. It also seems to me that the Bluetooth connection for the Versa is very intermittent. Even when it is syncing for me, when I’m using connected GPS with my phone during an activity like hiking, the connection is dropped frequently causing the GPS signal to be lost but it does reconnect at least using just Bluetooth. The watch had been syncing and receiving notifications perfectly all day and then about 8 in the evening it stopped. I tried all the suggestions above and none of them worked. 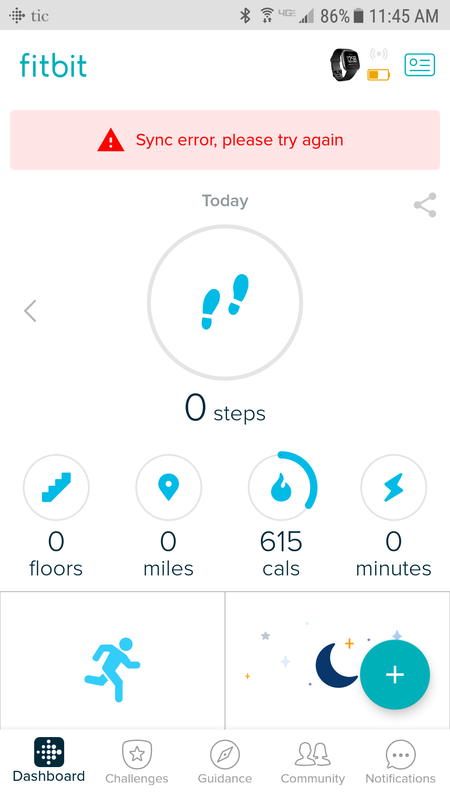 I did get it to sync after removing the Versa from my phone’s Bluetooth settings and removing the device from the Fitbit app and adding it back again but it still didn’t have a strong enough connection to update a clockface. 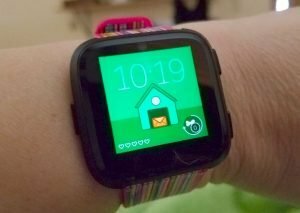 I had tried a clockface from a third-party that apparently had a 24-hour trial period and was left with that message on the watch and wanted to change the face back to a Fitbit clockface but the above error kept popping up. I don’t think the third-party clockface had anything to do with the communication issues because it has done this to me when I was using one of Fitbit’s clockfaces too. So, this morning I put the Versa on the charger and left the house with my phone for a while and came back and the Versa had updated the new clockface I had chosen the night before. This has happened twice to me. Apparently, the “fix” was putting the Versa on its’ charger and taking the phone out of range which is strange. 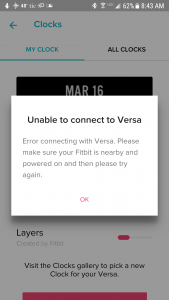 Obviously, there is some type of communication error that persists even after trying all of the suggestions Fitbit recommends to reconnect the Versa to your phone. I don’t know how long the phone needs to be turned off but I was gone about 20 minutes each time. So yeah, off to a bit of a rocky start with the Versa but I’m still holding out hope that the bugs will get worked out soon.